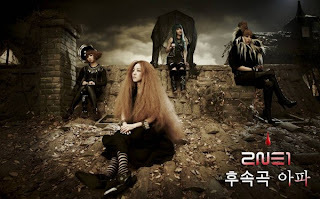 tUnE-t0-kPoP: [T:MUSIC] 2NE1 will Return On SBS! Inkigayo tonight!!! [T:MUSIC] 2NE1 will Return On SBS! Inkigayo tonight!!! Girls of 2NE1 will return on Inkigayo tonight with their follow up track " IT'S HURTS ". They already teased a photo with concept featuring Dara.